Chart Title Border Style and Color in Excel - ANALYSISTABS - Innovating Awesome Tools for Data Analysis! 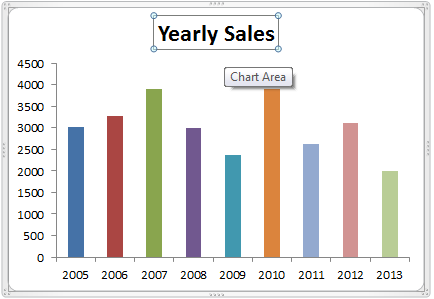 Changing Chart Title Border Style and Color in Excel will make your chart looks great. 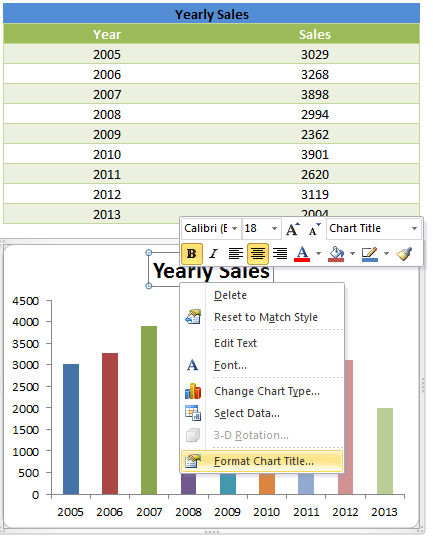 You change the chart title border colors and styles to match your chart layouts in Microsoft Excel 2003,2007,2010,2013. Follow the below steps to change the Chart Title Border Style and Color in Excel. In these steps, we will select chart title. We change the border styles of Excel chart title and border colors of the Excel Chart Title. The first step is to select a chart title to format and change the border styles and color. The following screen-shot will show you how to activate a chart title. Now right click on the chart title, and you can see the quick format bar and chart title properties menu. We will format the chart title using ‘Format Chart Title’ tool. 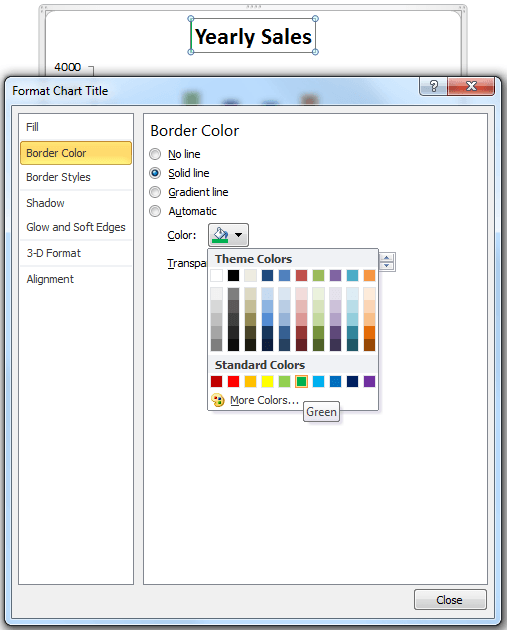 Now choose the Border color form the ‘Border Color’ options of Format Chart Title Tool. Now you can see the border color is changed to the color which you have set suing color tools. 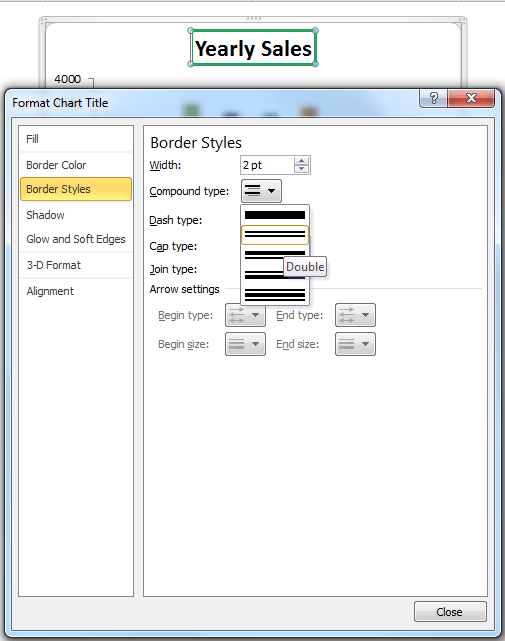 Now go to the Border Styles commands and choose the required Border Width, Border Styles like Compound type, Border Dash Type ,Border Cap Type, Border Join Type. There are many options which you can set and style your chart as you required. Now you can see the chart title border styles and color is changed as per your settings. This is good way to provide borders and change the styles to match the chart themes in Excel.